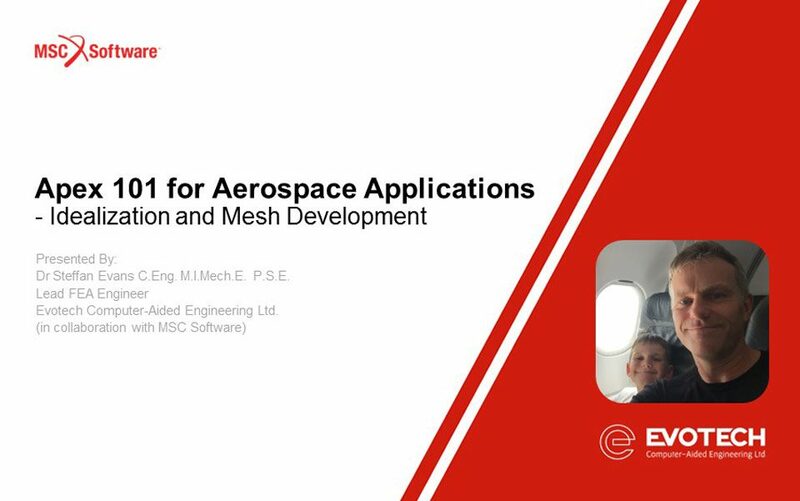 MSC Apex 101 for Aerospace Applications - Idealization and Mesh Development | Evotech Computer-Aided Engineering Ltd.
Constructing a finite element model for the design of aerospace vehicles is an elaborate process that involves the analysis of many parts and assemblies. Due to complexity of the structures and loading conditions, idealization is an important pre-processing phase of the design process. Engineers are required to modify detailed CAD geometry to the appropriate form, depending on the intention of the finite element analysis. This webinar will discuss a number of MSC Apex-specific approaches to speed up the modification and meshing of CAD geometry. All these techniques are focused on ‘real world’ geometry, in this case a wing leading edge rib.